On Sunday, June 23rd, 2019, we will be hosting the Utah 1033 Ride benefiting the families of families of fallen officers, sponsored by Harley-Davidson of Salt Lake. Pre-registration will be available at Harley-Davidson of Salt Lake starting Monday, June 17th. Join us for day-of registration on Sunday, June 23rd from 8 a.m. to 10:30am. The registration fee is $25 per rider, covering lunch, a commemorative do-rag and ride pin, and one opportunity drawing entry to win a 2019 H-D Street 750 ($9,000 value*). At 10:30am riders will enjoy a scenic ride up I-80 E to exit 155, past Rockport Reservoir through Peoa and Oakley to the DeJoria Center outdoor barn venue. At noon we’ll enjoy lunch during a welcome ceremony with law enforcement and families of Utah’s fallen heroes, followed by an honor guard ceremony and 21-gun salute. At about 12:30pm we’ll have our live auction and 2019 H-D 750 Street opportunity drawing, followed by a moment of silence and a dove release. Additional opportunity drawing tickets may be purchased day of Ride for $15 or 5 for $50. 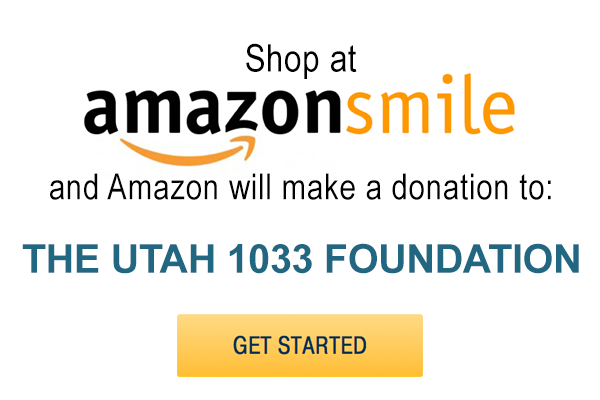 Proceeds and sales from the ride will go to benefit the Utah 1033 foundation. Ready to join the ride? Let us know you’re coming on our Facebook event! *Color may vary on 2019 H-D Street 750. Tax and License not included.